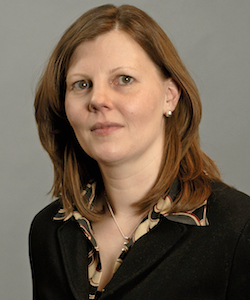 Katja is an Associate Professor of Business Economics and Public Policy at The Wharton School, University of Pennsylvania. She specializes in applied microeconomics and industrial organization. Her research focuses on two areas. First, she studies how firms make product introduction and entry decisions, how they assess the competitive implications of different market entry strategies, and how public policies and regulatory interventions shape their choices. A second focus of her research is nonlinear pricing, primarily in the context of communications and information industries. Specific topics she has worked on in this area include consumer adoption of online services; consumer choice among the commonly offered nonlinear pricing plans for such services; and the effect of entry on the characteristics of such sophisticated pricing strategies.